Through education of responsible pet ownership, sterilisation and rehoming animals, BARRC aim to create a future where all animals are valued within their community. BARRC is a not for profit Animal Welfare organisation operating in Bunbury WA. The organisation operates solely on a voluntary basis and does not have paid employees nor does it receive any government funded grants. BARRC was established after a small group of individuals discovered a much needed requirement for more animal welfare organisation assistance in the South West of WA. We began as a group of individuals committed to rescuing and rehoming animals. Although we are a new organisation, the committee has a combined experience in animal welfare of over 22 years. The committee and management of BARRC is based in Bunbury, rescuing animals throughout the Bunbury region. This local community structure allows us to be flexible to meet the needs of the community and react accordingly. BARRC focus on educating and engaging with the community to understand responsible pet ownership and how to embed it in their homes. We seek to have a positive impact to reduce animal homelessness whilst rescuing and rehoming those animals impacted in the meantime. We work collaboratively with other animal rescue organisations and have chosen a more compassionate way of looking at situations where people need to rehome or surrender their pets and understand that circumstances can change, placing families in desperate situations and in need of assistance. We understand how painful it must be for people forced to give up their beloved pet when they are left with no other choice. All our dogs are placed in suitable foster homes until the perfect home is found. 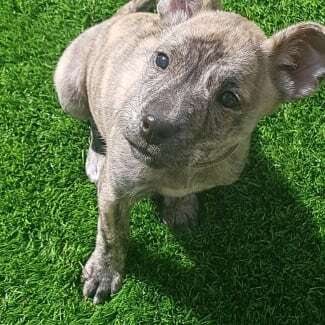 Dogs in foster care are more likely to adjust to normal family life, as well as having the opportunity to socialise and provision of some basic training, such as house training and on lead manners. Foster homes not only save lives, they also make many animals more likely to be re-homed successfully. We believe that all companion animals deserve a safe and loving home. We strive to accomplish this through our work in rehoming, desexing and education programs. As part of our ‘Getting to Zero’ philosophy we are committed to achieving zero euthanasia of healthy, treatable and rehomable animals. We welcome new foster carers at all times. There is no fee involved as BARRC cover the cost of vet bill expenses for the foster animal. We rely on donations of food, providing carers with these donations when they are readily available. Should you have other pets on the property, we endeavour to have the potential foster meet before placing in your care to ensure compatibility. Our dogs available for adoption are all living in private foster homes and are available for you to meet. By submitting an application we will be in contact with you. Our adoption fee includes a general health check, flea and worming treatment, vaccination, microchipping and desexing. If the dog is too young for desexing, a voucher is provided. A 14 day adoption trial period is available when adopting an animal from BARRC. Adoption fees are required to be paid in full before taking the animal onto trial. Pup 1 is slightly taller than his litter mates. A mix of several breeds including Staffy, Ridgeback, Kelpie. He is playful and a joy to watch as he pounces around the yard in play. Pup 1 is not available to adopt until 8 weeks of age. Expressions of interest are currently being received. He will be sterilised at 6 months of age, inclusive of adoption fee. Zeus loves everyone and everything. He is friendly with other dogs. Zeus is seeking a home where his people will discourage him from jumping up on them in excitement. He has not yet been assessed with cats but loves all dogs he meets. Zeus is desperately in need of a foster care home. BARRC provide his food and vet care. Once he is sterilised, he will be made available for adoption. So his ideal carer may be one interested in fostering to adopt. 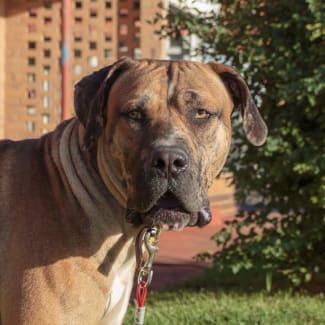 Johnny is a Bull Mastiff x . He is the friendliest, most easy going big boy you will meet. Johnny gets along with all dogs, people and ducks/geese/chickens. A really gentle soul who loves his daily outings and would love to be included as a member of the family, involved in their daily lives. Miss Purple is one of the most chilled out females of the litter. A delightful little pup who will grow to a larger size. 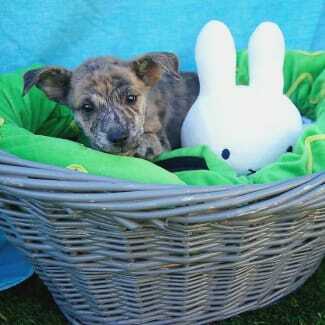 Her background is Staffy x kelpie x ridgeback x Available to adopt by Easter Weekend to a suitable home. Shorty is on the smaller side of medium. 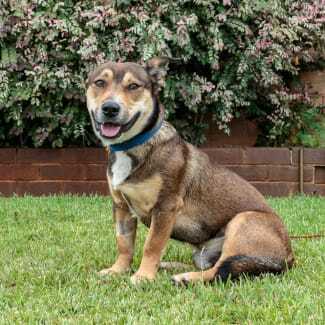 A corgi x staffy. He likes a good bark at other dogs when introducing himself and then wants to play. His playstyle is boisterous. Shorty is house trained,he prefers to have company around a little or can become destructive in the home. 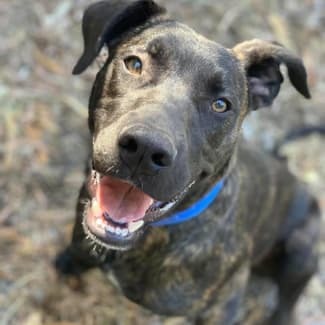 Seeking an active forever home .